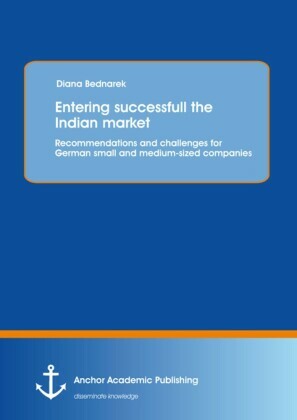 Master's Thesis from the year 2016 in the subject Business economics - Business Management, Corporate Governance, grade: Merit, University of Derby, language: English, abstract: The central question addressed is: how do boards plan and align their activities to fulfil stakeholder requirements? 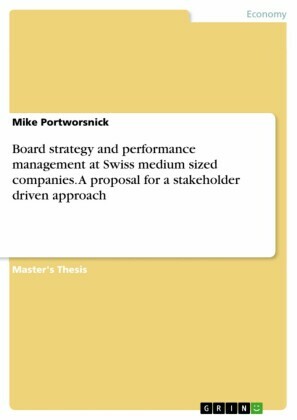 To answer this question the research investigated extant literature and conducted an interview based study to assess how boards of directors plan their board strategy and conduct performance management incorporating stakeholder requirements. 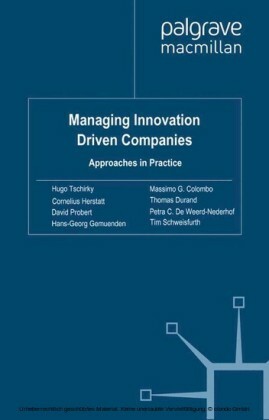 The study was motivated by the need for improvement in boards, that is, by the need to improve both the way they plan a board strategy and the way they conduct an effective performance management that is closely linked to the satisfaction of stakeholder requirements. The purpose of this study was to assess how this is done today, to understand why it is done this way, and to propose how it can be done better in future. This is a qualitative study based on the grounded theory methodology. Interviews were conducted with participants who chair a total of 36 boards and hold 65 seats as ordinary board members at Swiss medium sized companies in several sectors. 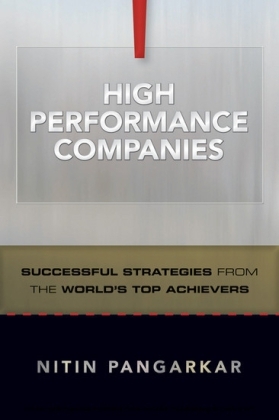 The interviews were analysed to understand which methodology would be appropriate to plan a board strategy and to conduct board performance management. The analysis also revealed the phenomenon why chairmen usually do not plan a board strategy - even though they admitted that such a strategy might be useful. Further, a grounded theory was able to be developed. 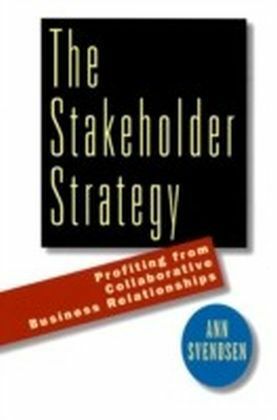 The main claims based on the findings of this study are: a) The strategy-map and BSC are indeed appropriate to plan a board strategy and to conduct board performance management, and b) In this study a grounded theory was developed that explains why chairmen, being on top of the company, usually do not apply well-known methods to formally plan a board strategy. The cause of this behaviour seems to be founded in the chairman's willingness to develop themselves or not.